... gets all the best lines. "Yes. Dead girl. Violence and murder. People are bad. I'm feeling emotions." 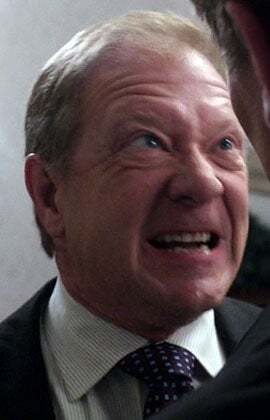 I'm re-watching Season 2 (in hopes that Hulu will prove itself worth the $8/mo and show me the third season) and Cyrus is my favorite character, without question. Love him. I mean, he's a murderer and stuff but so was Dexter and I liked him just fine (I didn't see the last season yet, btw). Who's your favorite?